It is important to report on what your competition is doing. Being in the digital space we see a lot of SEO agencies highlighting how they can make you rank better with a cookie-cutter approach. We often see SEO and ‘content marketing’ agencies state that their disciplines will deliver results and every company should jump on the bandwagon or else they will lag behind the competition. It can be quite frustrating to see companies being misled, because fundamentally from a marketing perspective, we believe that content marketing and SEO are very important disciplines. However, we believe that these practices should be completed in line with the marketing and brand strategies to ultimately foster differentiation and maintain relevancy with an organisations target audience (which should in turn drive conversions and sales). For example, in the past television advertising was the pinnacle of advertising. Back then, with the companies that I had worked for that advertised on TV, we never had television stations approaching us and stating what the ideal recipe was for creating a commercial. The stations did educate the market to an extent, however, they also understood that each brand was different and what works for one didn't necessarily work for another. It was in their interest to give valuable advice as TV was really expensive and organisations expected a return on their investment for above the line advertising. There was no hiding from it. However, it seems as though offers in the digital space feel as though they can offer generic strategies that are not differentiated from competitors, flash a few metrics and highlight that they are ultimately winning for their clients... but their clients may not actually be getting more business. Back to the television analogy, there may have been companies that took the cookie-cutter approach to tv advertising and production, however, they often purchased ads in off-peak periods for minimal expenditure and probably sold you knives that cut shoes, stoneware non stick crockery, exercise equipment, porcelain ornaments or Hits of the 70s CD compilations. 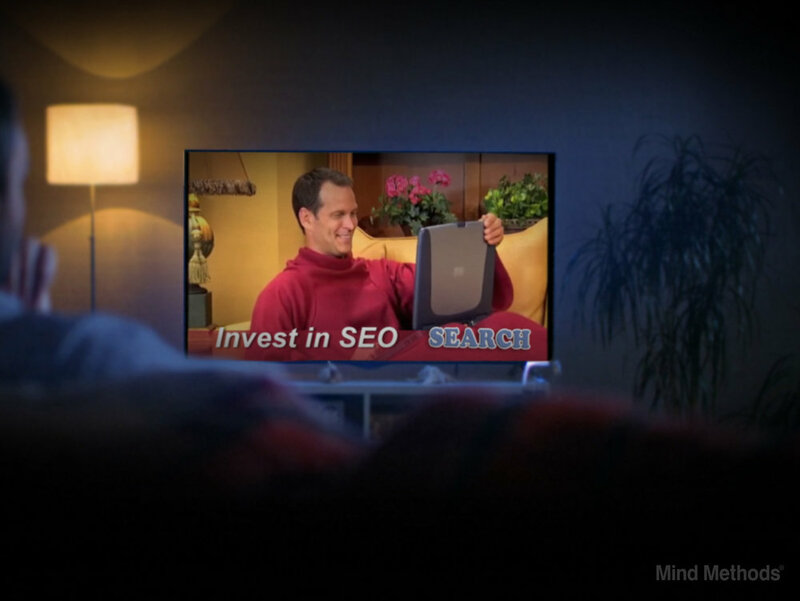 Why invest in SEO? What’s the point? Firstly, any SEO strategy should be a child to the overall marketing, brand and communication strategies. Secondly, a good agency and marketing team know that the real power of SEO tools is to gather insights to monitor both your competitor and your own online marketing efforts. The insights that you can get through using SEO tools on your competition is amazing and I would state that SEO is as much about research and insights as it is about gaining organic traffic to increase sales. What is search term criteria: where are we competing? Fundamentally, this is what people are searching for in online search engines. So for your marketing strategy you need to ask yourself ‘what is my core business?’ and ‘where do I want to win?’ (you know this anyway based on your offline strategy). Ultimately, what we like to do is understand these areas in depth from a strategic marketing standpoint and then do our research online and align what a companies' core business areas are (services, products, core benefits etc) with what the market is looking for (search terms). This gives us a broad list of 'online search term demand' and helps us to understand what the market is asking or searching for (in the online space). Search term volumes: where are our competitors? From the terms that we discover, we then narrow down the list, based on terms that have the higher monthly search volumes or high search term relevancy. This helps to give us an idea of the potential priority for particular terms that we should target. High keyword volumes are not always ideal to target as their difficulty may be quite high due to the high competition for that search term. Maybe the specific search term should be part of a long term strategy. Lower volume, but high relevancy search terms could have lower difficulty (as competitors have not focused as much on them) and these little guys could be worth going for in the short term. Ultimately, a mix of the two is probably where you will land. Who is winning: which competitors? Once we understand our search term volumes and relevancy, we can really review which websites are ranking highly for these terms and winning. If we want, we can drill down even further and see who is winning with the particular search terms that we are analysing. We may find that within our specific geographic region, the same websites are popping up or for different terms or we may find that different websites are popping up for the different search terms. This helps us to identify who is winning and ultimately who our competitors are. Are all websites competitors for search terms? Can we find other opportunities? Technically not all websites are competitors. The fact is that some websites may actually be potential communication channels rather than competitor sites, however, when we do discover competing sites, we can begin collating our overall competitor list. We can then delve even deeper and do additional research to discover what activity may be enhancing our competitors' online activity. For example, we recently found a competitor was ranking highly for a particular search term for one of our clients. Content was not the major reason for the competitor ranking highly, but rather, they had numerous links back to their website based on an event that they were sponsoring. Is traditional SEO enhancing the search term visibility? Well no, the strategy for sponsorship generally falls under the marketing and PR banner… but hey if you’re not careful your SEO agency will take credit for the increase in rankings. The SEO company should only take credit if they gave the original insight back to marketing to engage in a specific sponsorship strategy for that particular event. To the old school marketers out there, your traditional philosophies are more than relevant today. The SEO trickery of old has a time limit and is soon running out of steam. Our message is that you have the ability to apply your fundamental knowledge of marketing. Using SEO tools can provide unbelievable insight at a fraction of the cost of doing questionnaires, focus groups and surveys. Once you do use focus groups, your questions will be pointier as you've gained insight from the awesome online marketing tools that are out there. Finally, when asked to report on what your competition is doing, you can run a few reports to track their social, online marketing and online advertising activity and submit this back to the business to work out how to enhance your overall marketing strategy. Article by Simon Tokic. Simon has a few passions including basketball, music and surfing, however, most of his time is spent as a self proclaimed marketing geek applying fundamental marketing principles in strategic and creative ways. Prior to running Sydney marketing agency Mind Methods, Simon worked on leading brands including Sony Pictures, Universal Pictures, Glad, Chux, Armor All, Clorox, Barbeques Galore, Anglicare and more. Stay in the loop with all the latest news and articles from the Mind Methods collective. © 2018 Mind Methods. All rights reserved. Mind Methods is a Sydney marketing agency focussed on advertising campaigns, digital and online marketing, creative and design, small business marketing, brand and logo development and marketing communications.